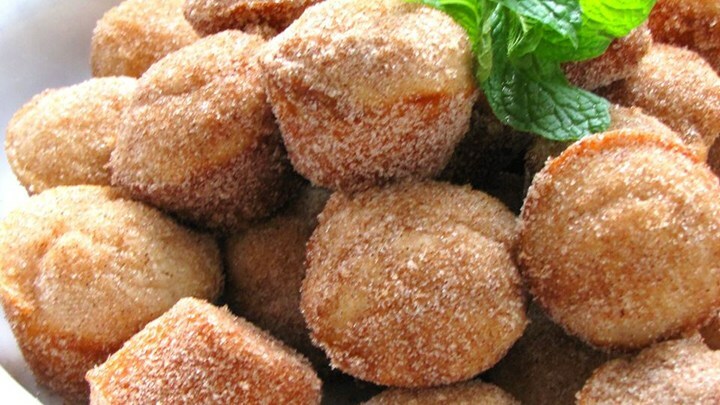 Mini muffins that taste just like cinnamon sugar doughnut holes! The secret ingredient is nutmeg. Mix 1/2 cup sugar, 1/4 cup butter, and nutmeg in a large bowl. Stir in the milk, then mix in the baking powder and flour until just combined. Fill the prepared mini muffin cups about half full.